Prime ribs of beef are elegant and delicious. I love a good prime rib cooked medium rare and served with horseradish. 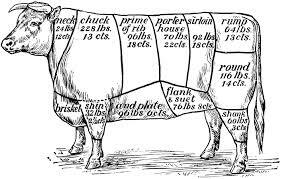 Prime rib was originally called a standing rib roast because the meat when cooked stood on its bones and did not touch the roasting pan. Some of the best recipes call for you to sear the roast in the oven at 500 degrees and then turn the temperature down to 350 degrees and cook for 15 minutes per pound. I decided to try this in my wood oven and it turned out amazing. When I pick a prime rib roast, I look for a good fat cap and well marbled meat. The fat cap and the marbling in the meat will melt and baste the meat as it roasts. 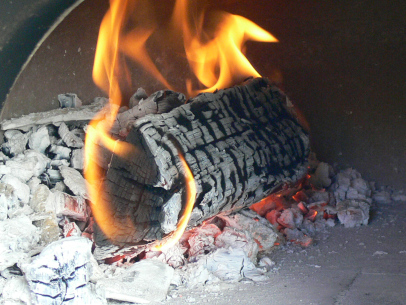 This is especially true in the high heat environment of the wood oven. 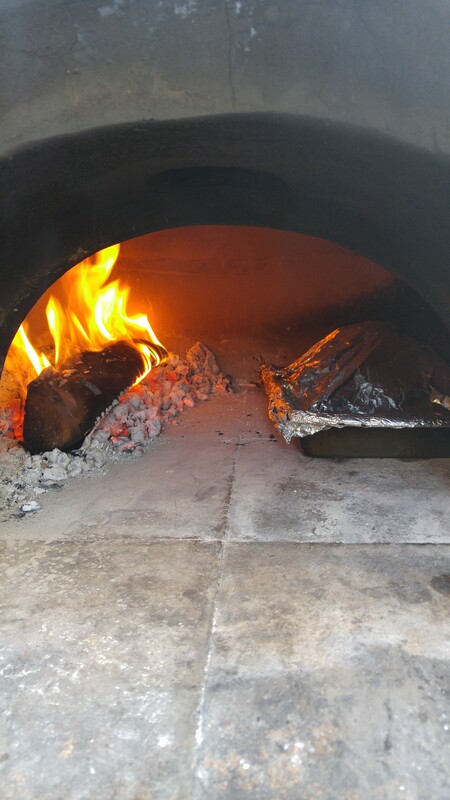 The following is how I prepared my prime rib roasts in my Forno Bravo Primevera Wood Oven. 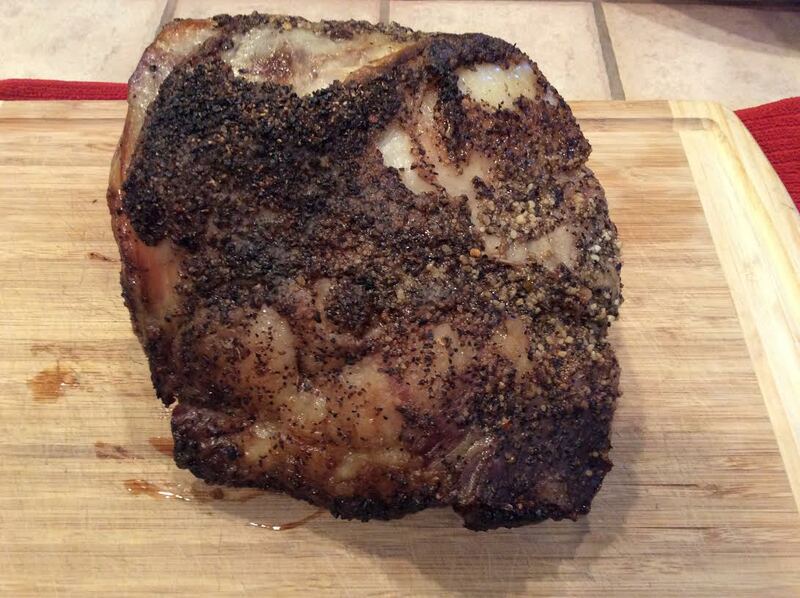 First, you will need to pick out a quality rib roast. As I mentioned above, I like a roast with a good amount of fat on the cap as well as some good marbling in the meat. I buy my roasts at Costco because I have found that they have the best selection out of all the markets in my area. Once you are ready to season the roast, take it out of the refrigerator and liberally slather with olive oil. When the roast is covered with oil, sprinkle the meat on all sides with Montreal Steak Seasoning. Don’t skimp on this part. The heat of the oven will sear this seasoning into the meat and form a delicious crust which will keep the roast moist and flavorful. Cover and put back into the refrigerator to marinate for at least 2 hours or for best results overnight. Start the fire in your oven. I prefer a mixture of oak and cherry wood when cooking beef. You can use any type of hardwood you like. Once the fire has started and you no longer have to watch it to make sure it does not go out, remove the prime rib from the refrigerator and let it come to room temperature. While the roast is coming up to room temperature make sure you have a good base of hot coals in the oven. Once you achieve this, push all the coals to one side of the oven and add a piece of wood. Now you are ready to sear the meat. I put my roast on a small rack in a roasting pan and then place it in the oven for about 5 minutes. It only takes five minutes to sear a 7 pound roast in a hot wood oven. It is important to watch over the roast while it sears and too move the pan around to avoid any part of the meat burning. After the roast is seared and the fat cap is sizzling, I remove the meat from the oven and cover it with aluminum foil. Once covered, put the roast back in the oven and cook for 15 minutes per pound. I like to rotate the pan in the oven about every five minutes to allow for even cooking. After the meat has cooked for the required 15 minutes per pound, I remove it from the oven and check the temperature with a electronic meat thermometer. Always check the temperature in the thickest part of the roast. For medium rare you want the temperature to be about 125-128 degrees. Allow the meat to rest covered for at least 20 minutes. Serve with horseradish and a nice glass of red wine. 7 pound prime rib with a good fat cap. This entry was tagged beef, cooking steak over wood, cooking with wood, prime rib, roaring meat in a wood oven. Bookmark the permalink.